It’s been a long time since I’ve done one of these!! I had an urge so I decided to do it!! if you are new around here and don’t know what I’m talking about go here…. Let’s get to it! here is what I’m currently up to! Well, see, what had happened was…. Ok, so I haven’t finished season two of Insecure, ATL or watched the season Finale of Handmaid’s Tale. Listen. I mean to. But I usually turn on Netflix or the TV in the evening and then fall asleep in the middle of watching. I swear, I’m going to have to plan a day with Netflix and a bottle of wine and popcorn and get to it. I swear. Girl Wash Your Face by Rachel Hollis. Seems I was the only one who hadn’t read it ( and there is a movie). I know she has a podcast, but knew nothing. I’m on chapter 2. 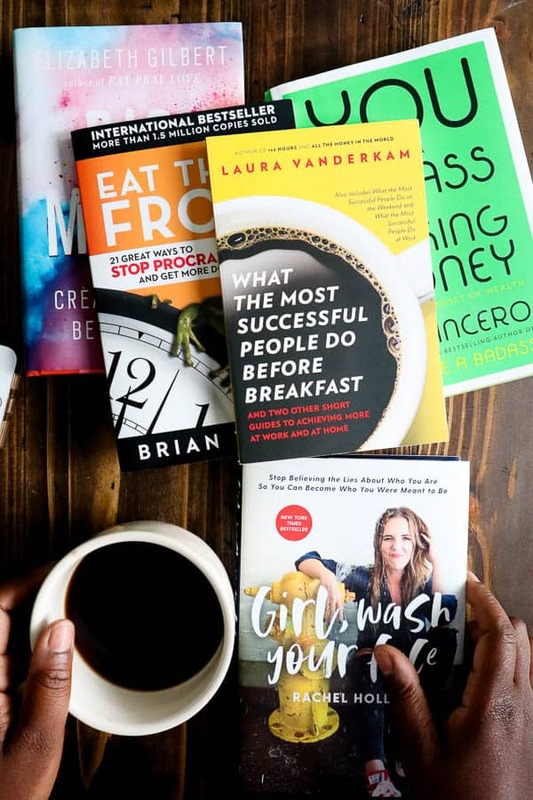 I’ll update you later on what I think, In the meantime, if you are a mompreneur, or just want inspiration to be more successful with your life, check out my book list for this month. Morning pages. It’s like journaling on steroids I guess. 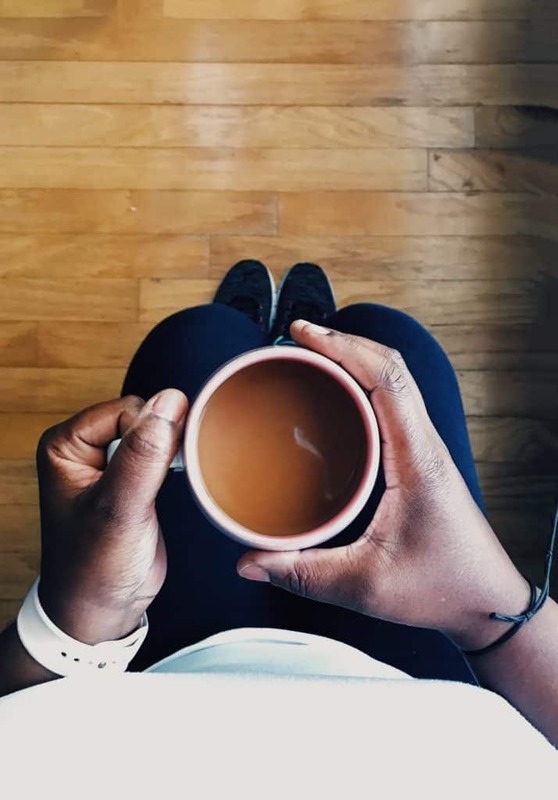 The idea comes from a book called The Artist’s Way By Julia Cameron So the theory is that first thing in the morning ( like when you wake up) you write out ( yes WRITE) three pages of stream of consciousness. Start writing and don’t stop until you get to the end of page three. You are not supposed to slow down, self-edit, and don’t think about how bad or even good what you are writing might be. It’s not for anyone’s eyes but your own, and the only requirement is that you be honest and unfiltered. It’s supposed to lead to clarity and more creativity and just help you clear and center your mind. The first week I did it, I felt…foolish and I had to force myself to keep going..basically writing nonsense..the second…I felt like it was a waste of time..but by the third, I missed a day and felt OFF all day. Now, it’s like I get my demons out of the way when I write those three pages. I come up with ideas, I work out problems, all in those pages. I know some folks don’t go back and read theirs, but I had to start putting sticky notes on mine because ideas and thoughts I wanted to go back and visit came out. Try it. My mother taught me how to make preserves. I feel so SOUTHERN !! LOL. Honestly, until recently, it never occurred to me to even THINK about trying. But I was at her house, getting my jar of strawberry fig preserves from her cabinet and it occurred to me that one day I won’t be able to do this. I won’t be able to simply come to her house and get a jar. Depressing for sure, but it reminded me that I still have so much to learn from her. SO much to write down and stories to listen to. And learning how she made preserves and canned them was just one of them. 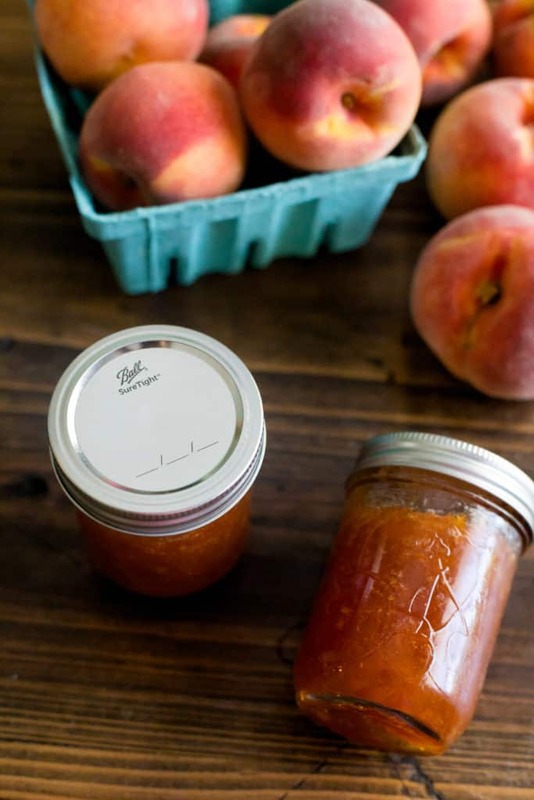 So she came to my house and showed me how to make peach preserves. The recipe is here..just in case you want to make them too. A girls weekend!! 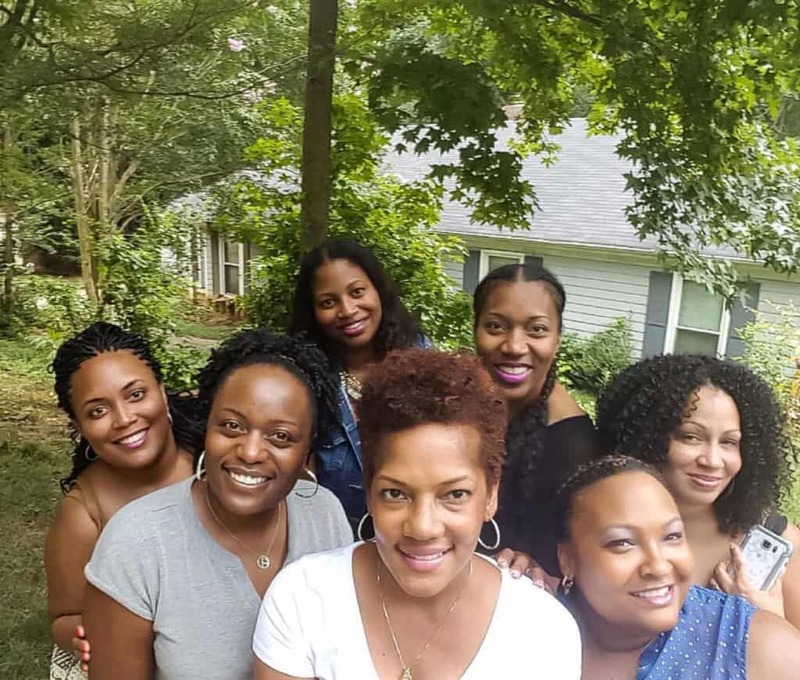 My Besties of over 25 years are coming to my house Labor Day Weekend. Can you say excited?!?! We are basically having a big grown-up sleepover with wine and food. I’m trying to get Pookah and C Dub to go away so we can have the house to ourselves. Cause what happens in the ATL stays in the ATL…. Good. Great actually. For years, I’ve always run around saying, if this happened, I’d be happy. If I could do this..I would be happy. Or if this happened, life would be perfect. Life doesn’t work that way. It took me until year 42 of my life to understand and accept that. That being said, someone asked me the other day if I was happy. I realized that I could say yes with no qualifications. I love my life. I love all the ups and downs and the frustrations and the wins. It’s amazing to me because I really had no intention of becoming an entrepreneur. I fought it ya’ll. Like a soldier! It was always, oh I just have a little blog. Oh, I just take photos, oh, I just have an Instagram and sometimes I get paid for it. But when I decided that it was OK to do what I love and get paid for it? It was life-changing. Yes, there are struggles. I hate chasing my money. I hate the feast of some months and the famine of others. Don’t be fooled by the gram into thinking this life is glamorous. It’s hard!! But there are other things that are so fulfilling. Like when I told my son’s teacher that all she needed to do was call, and I could help her out. When I can randomly pick up my son and take him to the park instead of rushing back home to work. When my husband goes out of town for work and I’m not panicking thinking how am I going to do all of this on my own. Like getting PAID to do something I love. I’m blessed. And I know it. So that’s what I’ve been currently up to! What about you??? So that’s all that’s been going on in my life. What’s been going on in your life?